Michael Kaplan focuses his practice on advising private equity firms and their portfolio companies on mergers and acquisitions, securities offerings and general corporate matters. He also represents venture investors, founders, startups and early-stage companies in debt and equity financings and advises clients on commercial agreements, executive compensation and other corporate matters. 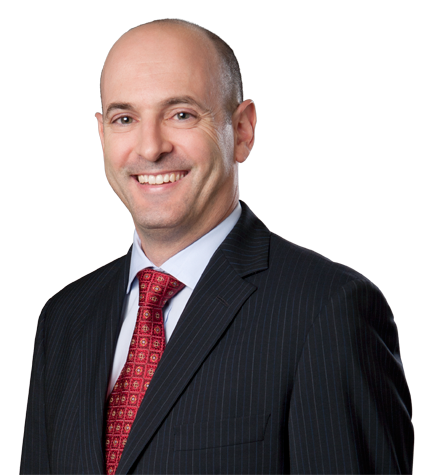 Named among Super Lawyers’ Southern California Rising Stars in 2014-2017, Michael assists clients with creative solutions to complex legal issues. He has deep experience providing counsel to funds and targets in stock and asset deals, mergers, tender offers, leveraged buyouts and other acquisitions and exit events (including auctions, private dispositions and initial public offerings). Michael has represented private equity funds, venture funds, hedge funds and other institutional money managers such as Genstar Capital Partners, Angeles Equity Partners, Beach Point Capital Management, Bregal Partners, Rusheen Capital Management, US Renewables Group and Angeleno Group and their portfolio companies. Michael is committed to serving his community. He has provided pro bono legal services to Bright Star Schools, a nonprofit organization that operates charter schools serving underprivileged students in Los Angeles, and Etta Israel Center, a charity for youth and adults with special needs. Represented Genstar Capital in its acquisition of Drillinginfo, a software, data and analytics platform for the energy value chain, from Insight Venture Partners. Represented Drillinginfo in its acquisition of cloud-based oil and gas accounting software company Oildex from Accel-AKKR. Represented Genstar Capital in the leveraged acquisition of Accruent, a provider of real estate, facilities and asset management software. Represented Accruent in its acquisition of Maintenance Connection, a computerized maintenance management system provider, from TA Associates. Represented Accruent in its acquisition of room and resource scheduling software provider EMS Software from JMI Equity. Represented Accruent in its sale to Fortive Corporation. Represented Genstar Capital in a control investment with co-investor TA Associates in Professional Datasolutions, a provider of enterprise software to the convenience retail and wholesale petroleum and logistics industries. Represented Professional Datasolutions in its acquisition of UK-based fuels pricing software company Inform Information Systems. Represented Professional Datasolutions in its acquisition of enterprise resource software supplier DM2. Represented Professional Datasolutions in its acquisition of Excentus, a provider of loyalty and coalition marketing solutions. Represented Professional Datasolutions in its acquisition of Touchstar Group, a multinational logistics automation company. Represented Genstar Capital in the simultaneous acquisition of iSqFt and BidClerk, providers of construction data and analytics, to form ConstructConnect. Represented ConstructConnect in a cash and stock merger with CMD Group, owned by affiliates of Warburg Pincus and Reed Elsevier. Represented ConstructConnect in its acquisition of construction data and lead generation provider CDC Publishing. Represented ConstructConnect in its sale to Roper Technologies. Represented medical device manufacturer Angiotech Pharmaceuticals in its sale to a consortium led by Vivo Capital. Represented Angeles Equity Partners in the acquisition of a controlling interest in ERP Power, a manufacturer of power conversion supplies. Represented outpatient physical rehab provider Physiotherapy Associates in its sale to Select Medical. Represented real estate media company Network Communications Inc. in its sale to Costar Group. Represented Network Communications Inc. in a series of transactions to divest its legacy print magazine businesses. Represented Platinum Equity in its acquisition of a Brazilian industrial painting business. Represented urgent care provider Colorado River Group (dba MedSpring) in its sale to Fresenius Medical Care. Represented Angeleno Group in its acquisition of a controlling stake in Kinematics, a manufacturer of slewing drives and worm gears. Represented NanoH2O, a manufacturer of reverse osmosis membranes, in its sale to Korean conglomerate LG Chem. Represented Pinnacle Entertainment in the sale of its Lumiere Place casino and hotels to Tropicana Entertainment. Represented AJ Restaurant Partners in its acquisition of a controlling interest in The Stand chain of restaurants. Represented Winnick & Co. (f/k/a Pacific Capital Group) in the divestment of its interests in T+Ink, a digital print application technology company. Represented the former global head of M&A insurance for AIG in the formation and venture financing of Euclid Transactional Insurance. Represented family history research provider Genealogica in its formation and initial capitalization. Represented Angeles Equity Partners in a convertible note financing of ERP Power. Represented Moleaer in a preferred stock financing led by Energy Innovation Capital. Represented Rusheen Capital Management in a venture investment in Moleaer to commercialize nanobubble aeration technology. Represented Rusheen-RWE Commercialisation Partners in a venture investment in wind energy technology company WindESCo. Represented Rosa Foods, maker of Soylent, in a preferred stock financing led by GV (formerly Google Ventures) with participation from Tao Capital Partners, Lerer Hippeau Ventures and a16z (formerly Andreessen Horowitz). Represented lifestyle entertainment company Kin Community in preferred stock financings led by Corus Entertainment and Emil Capital. Represented Stitcher, an on-demand internet radio service, in preferred stock financings led by NAV.VC (aka New Atlantic Ventures), New Enterprise Associates and Benchmark Capital. Represented the founders of Evolus in the restructuring of royalties and other entitlements in anticipation of the company’s initial public offering. Represented medical device manufacturer Surgical Specialties in a series of debt refinancings. Represented medical device manufacturer Angiotech Pharmaceuticals in a dividend recapitalization financed by Credit Suisse. Represented ConstructConnect in securing a unitranche credit facility from Newstar and GSO Capital. Represented Beach Point Capital in the debt financing of an acquisition by 21st Century Oncology. Represented Beach Point Capital in the debt restructuring of Garden Fresh Restaurant Corp.